I screwed up the cam. I may have a 255 if your looking. You can have the 245 but I was turning it in the lathe to add compression release and it grabbed and messed up the end bearing surface. I just smoothed with 600 but I wouldn’t use it I’ll post a pic but Dave if you can use it it’s yours. Looks beautiful. Keep the pics coming. ole4 , what size carb is that? looks like a big block H-carb. did you decide to go with a stock cam too. It’s just a China replacement stock carb and stock cam. Only mods are port cleanup, 22lb springs and dyno retainers and a stainless Briggs valve cut down. Has billet rod and gov delete. Are you gonna put Lights on it? The E's look bitchin with the lights. Yes it’s got lighting coils. And already have the headlight with led conversion. Just need taillight. I notes the top of throttle plate on your china carb is the same for the H block carbs and the hs-carbs are little different. but that carb is a good thing. it will have just little bigger bore in it then the hs-40/50 carbs have and with the porting/header/governor delate..etc.. I would think it would run good. I have a stock OHH cam with MCR laying around if you want it Ole. Thanks Dave but i’m Good I do have a hs mcr cam in it. I had to tig weld a extension on the throttle top so I could work the throttle with the governor arm that spins freely. Want to make it look stock. I’ll get some pics if I can get it all to work. 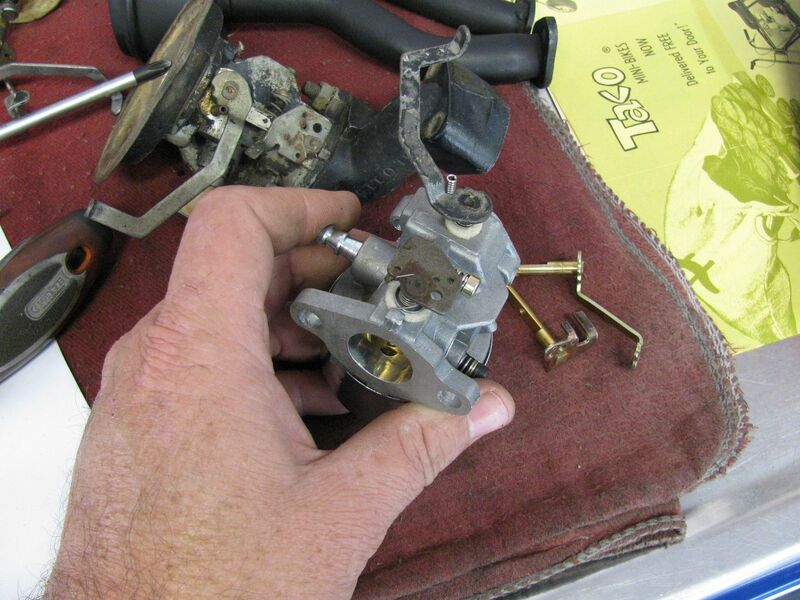 The China throttle top is different than original carb. No way to swap the throttle shaft over? I like the idea of using the inert governor arm to control the throttle. I assume that will be a rod below instead of a spring? 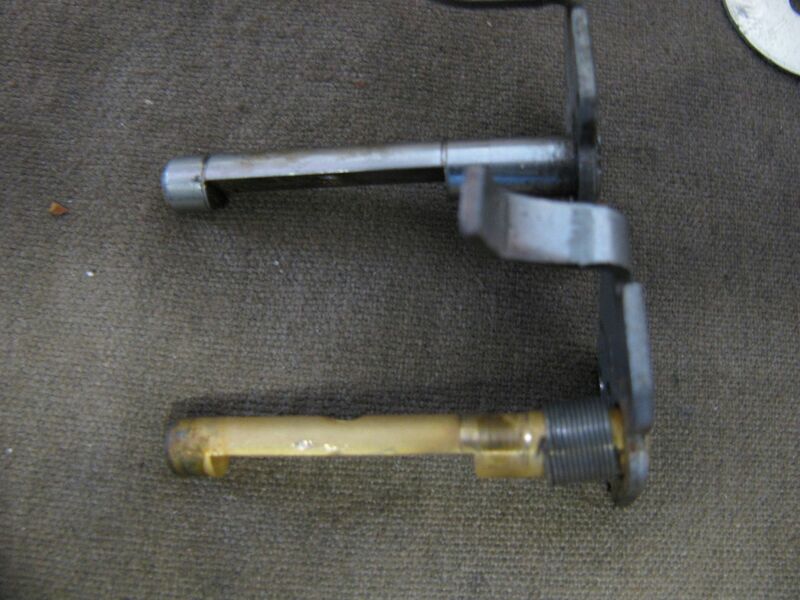 Correct and then somehow a return spring strong enough to pull back throttle twist grip to closed position. Ole, swapping both the throttle and choke lever/shafts over between those particular carbs is plug n' play..... throttle shaft is usually worn though on the top though so you may need a fresh one. 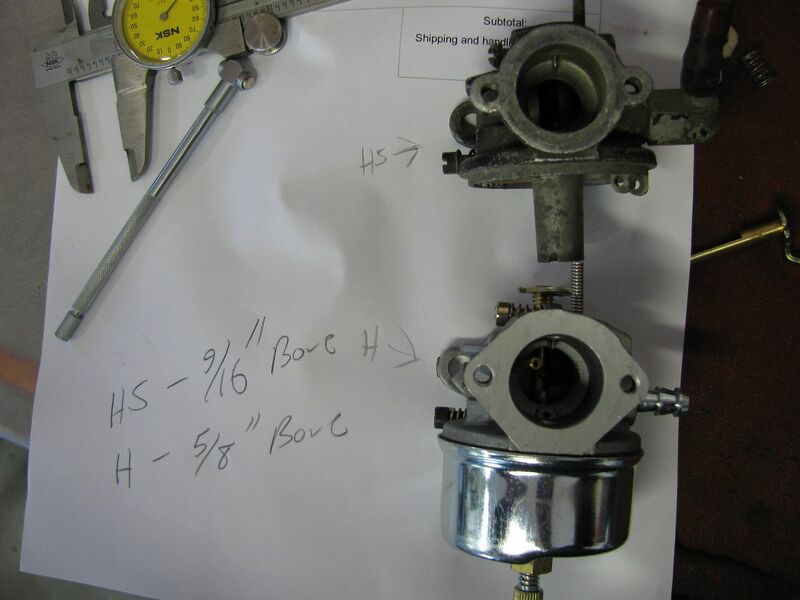 I did a writeup on converting one of those awhile back, Be interested to see how you like it on an HS50, I only ever tried it on a stock HS40 briefly on the stand and felt it was a little to hard to fine tune (engine was for a customer) so I sourced and orginal HS40 carb I could save instead. the other things though that dont match are Bowl overflow/vent runs into the inside bore of the carb rather than a pee hole out the side. Of course the throttle arm assembly is incorrect as well and wont mesh with the HS standard linkage so that has to be conveted as well. The H50 does have a larger bore in the center where it chokes down, I measured the 2 when I pulled the arms and butterflies out. that might not hold true for all of them or against the older, original carbs, it has been machine bored though the center so they may vary that. Nice that its opened up a bit, but again you get that restriction on the inlet from the overflow tube (that could be taken out pretty easy though and just drill out the side) I also compared the high speed/bowl needle assy's and the aftermarket H one has some larger inlets to it to take in fuel compared to an oem One I pulled from the one nice original HS carb. While its not a big deal if your running a remote tank, I could only find this style carb with a straight out the side inlet. that is kind of a pain when its on a self contained engine where the line has to snake though the shroud, It doable but it does not want to cooperate too well usually. It also clearly does not look correct for that application. 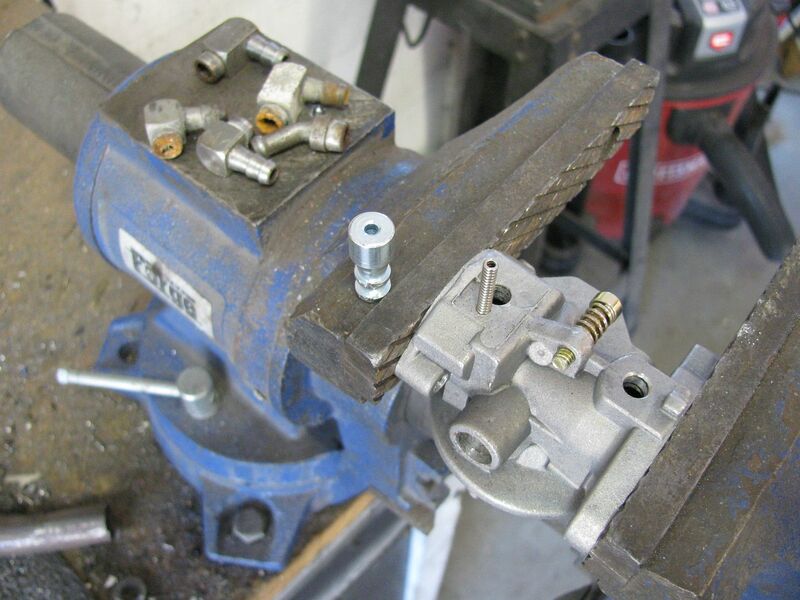 The inlets are pressed into the body of the carb, I hit the emtpy body with a touch of some heat for a few seconds and then grabbed the inlet and gave it a twist with some pliers while it was securely mounted in the vice. Anytime I have a dead carb I yank whatever will come off it and try to save it so I have few inlets and will use whatever suits the build best, since these press in, you gotta kinda use your discretion on sealant. 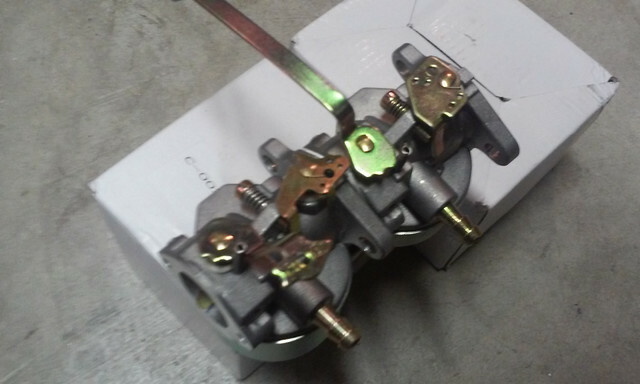 Just a quick test fit of this one and I am gonna want a dab of something to make me fell better its tight but I could do it by hand with some force, most older carbs I have to press them back in with the vice. Hows it work....well I dunno yet :laugh: As you can see I was in test fit mode today soon as the mailman dropped it off with some other goodies I found last week. I still need to go ahead and "rebuild" the new carb, test the float, and all that good stuff. so I will detail out the throttle and choke levers and set that all up when it goes back together and get it tested out soon, I think it should be fine though. I was going to swap it but there was play in the old one and the new one was real nice fit. I was just out in the garage trying to connect a rod from cable thinge to the fake governor arm but the carb will be full open by half throttle. I need more granularity so I may drill a new hole higher in the governor arm for a little more movement. Had to stop for today. 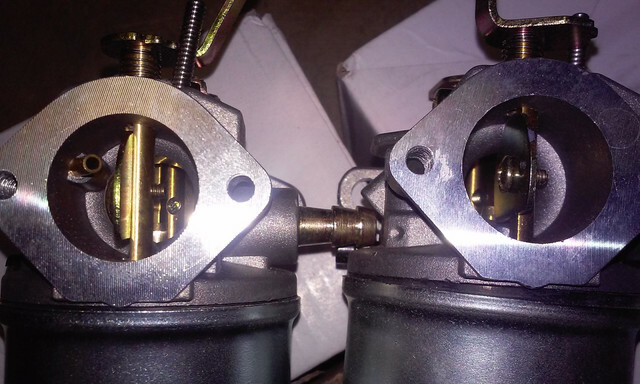 here ole , this is what I was talking about early, differences between the two china carbs. 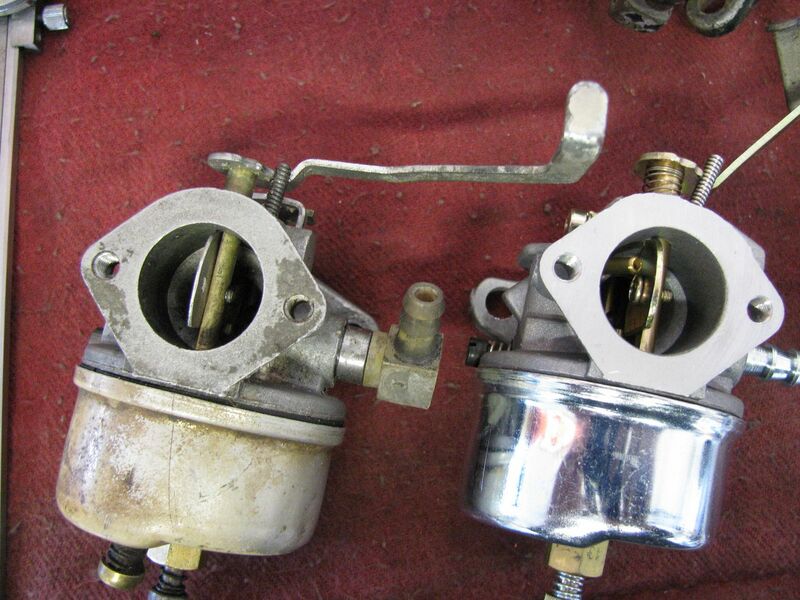 the carb on the left was for a H big block and the other on the right was for a hs-40-50. note the throttle plates on top are different. Yea the old ones were brass and wore out easy, they started making on in steel. Add one of those and squeeze in a foam seal on an old OG carb body (harder to do on those due to the short tab on the body for the spring) and they run really smooth! Those arms were the same on all the small frames, even the diaphragm carbs, so you can pull them off just about anything. They got longer and bigger plate cuts went they went to the 8hp-up size carbs though event though the arm on top looks the same, so avoid those. 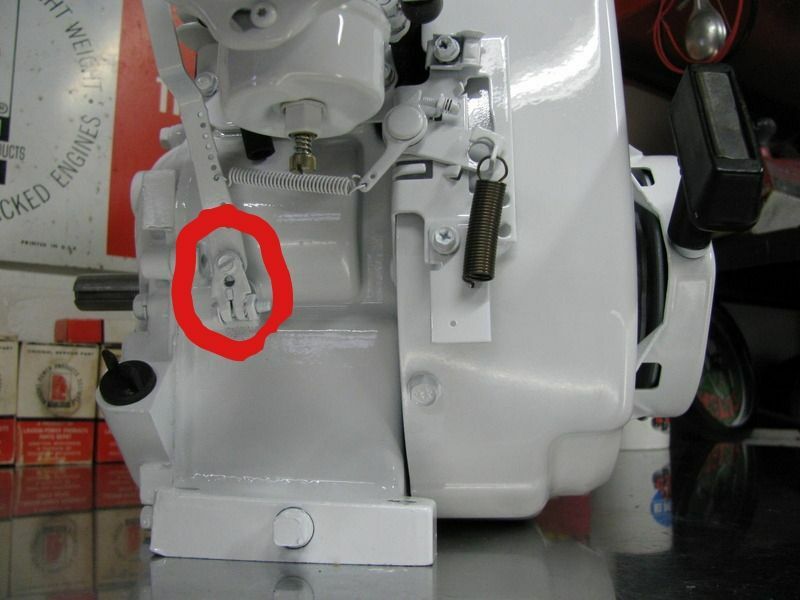 tecumseh part number 33857 is the bracket and return spring for those style throttle plates, Disreguard the red circle as that was from some other thread I did but you can see the bracket and spring here, It will come with the mounting screw as well. They have a really strong return to them! Super! Mine has that threaded hole I’ll make one just like that. 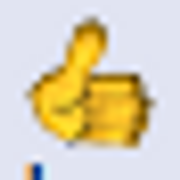 Thanks for showing me that. Well the powell finally made it in the shop and I started to take it apart. I have some questions for any powell experts out there (Dave if you are seeing this I'm sure you can answer). 1) The rear brake lining is glued to the wheel rim not the expanding brake is that correct? 2) how do the fork tubes come apart?